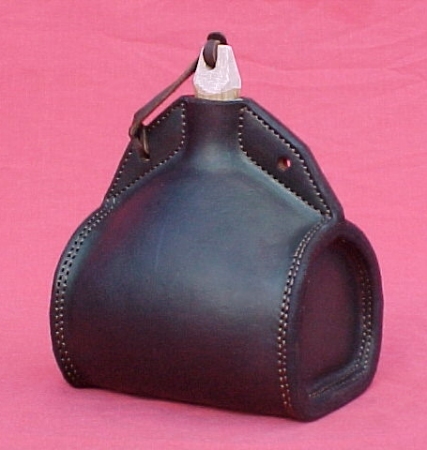 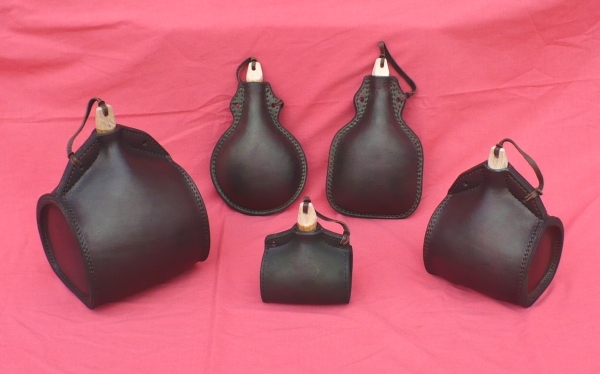 This form of leather vessel can be seen in high Medieval illustrations, and survived in use at least until the early 18th C.
The basic form existed in a multitude of sizes and shapes, from tiny spirit bottles to large jugs holding a gallon or more. 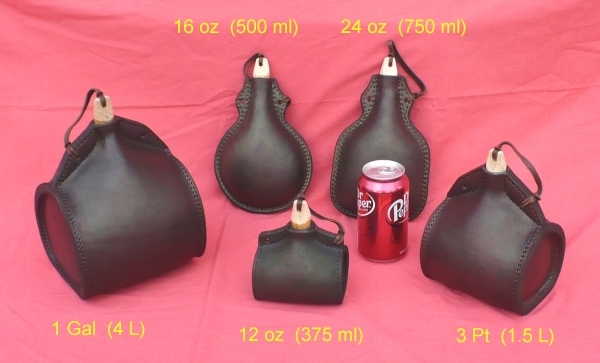 I offer these in several sizes. 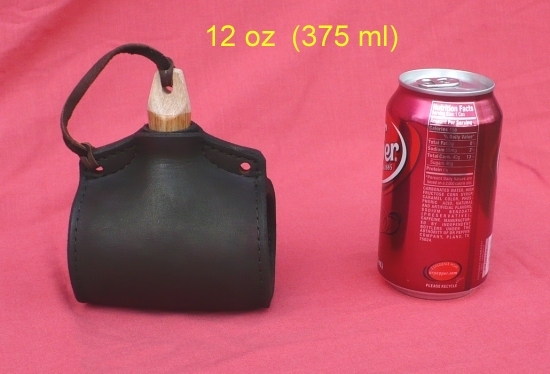 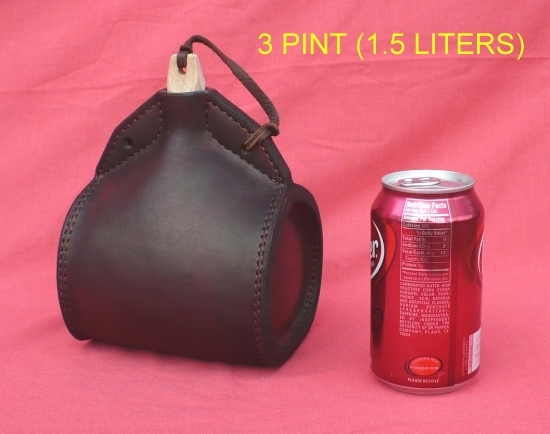 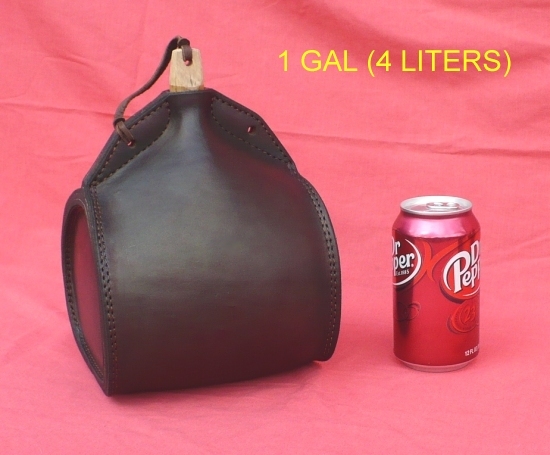 A sampling is illustrated below, along with a universal size scale (AKA soda can).